Mrs Gwendolin Cleaver, by whom purchased at the 1934 exhibition. London, Leicester Galleries, Recent Paintings by Glyn Philpot, R.A., February 1934, no. 25. 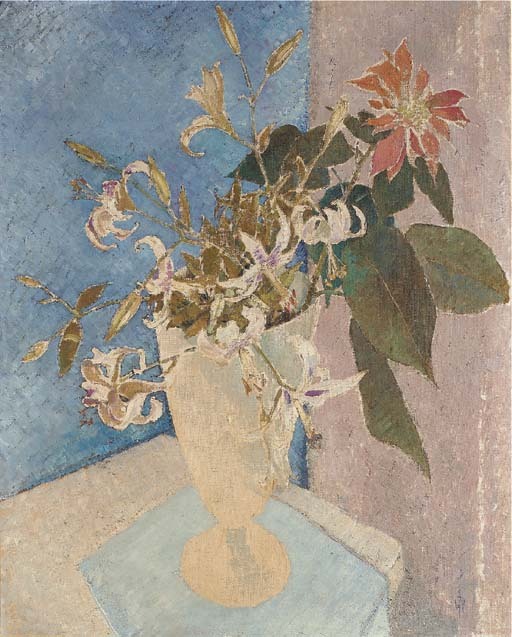 In the 1930s a turning point occured in Philpot's career from an academic style to a freer use of paint and a fondness for pale colour harmonies in greys, soft greens and blues.